The original, and still the best. Don’t make noise, make a difference! It doesn’t matter if you are in high school, college, or coxing for your local club the Guide has something for you. The material covered will prepare you for those first hectic days at the boathouse and give you the confidence to take charge when it’s time to hit the water. Cox-Boxes®, riggers, racing starts, power 10’s, and the words “way-enough!” will no longer be part of an alien language. It will all be there for you to learn and use each day. So get ready to jump right in and become the “quarterback” of rowing- the coxswain! If you are a coach you know how to explain the drive sequence and to teach a crew to blast off the line cleanly at a 40, but do you know the best way to teach your coxswain to take care of these things when you aren’t there? When push comes to shove during the final of your championship race, will your coxswain have the confidence and knowledge to make the right decisions? 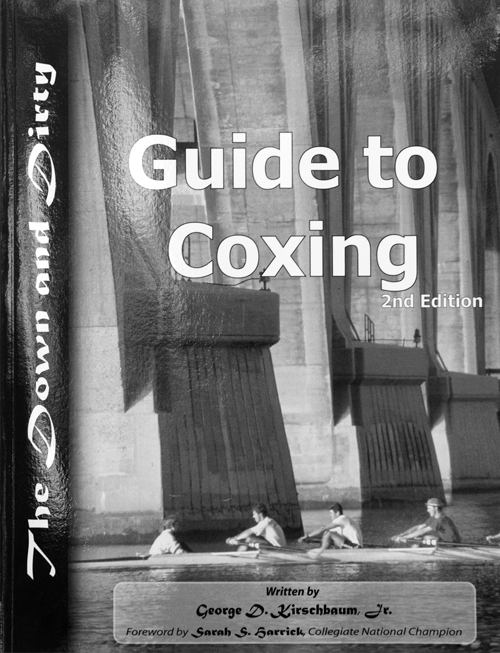 Let the Guide be your tool for teaching your coxswains and taking any doubt out of the equation. If your coxswains have read the Guide you can rest assured they can get the job done! Thousands of coxswains and coaches on three continents can’t be wrong! And the best just got better! Head inside now to learn about the newly expanded Second Edition!